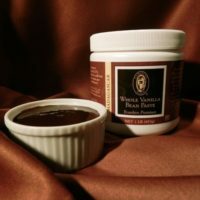 Our smooth, rich and flavorful vanilla paste contains triple strength extract blended with freshly ground vanilla beans and xanthan gum. There is no sugar or additional additives. 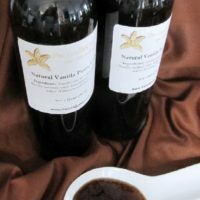 Vanilla is rain-forest friendly, grown organically and is sustainable. Buy in bulk here or in small volume from Vanilla Enchantment. NOTE: You now have a choice of pure or natural vanilla paste. Our decision to carry natural vanilla flavors is based on the current exceptionally high cost of vanilla. 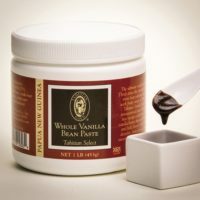 We understand the issues involved with producing fine artisan foods and beverages as affordably as possible, and our Natural Vanilla Paste can assist you in doing this.